← Queen – More Of That Jazz. 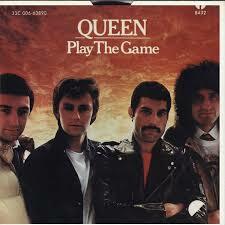 Queen – Play The Game. Publicat pe 30 iulie 2015	de Cristi M.
On 18 April 2011 Lady Gaga confirmed that May would play guitar on her track „You and I” from her latest album Born This Way, released on 23 May 2011.In June 2011, May performed with Tangerine Dream at the Starmus Festival on Tenerife, celebrating the 50th anniversary of Yuri Gagarin’s first spaceflight. On 26 August, May performed „We Will Rock You” and „Welcome to the Black Parade” with American rock band My Chemical Romance at the Reading Festival.On 28 August, May performed „You and I” live with Lady Gaga at the 2011 MTV Video Music Awards at the Nokia Theatre, Los Angeles.On 10 October, May made an appearance to celebrate the reunion of British rock band The Darkness at an „intimate” 100 Club show with support from Dark Stares.A long-time fan of the group, May performed three songs onstage with The Darkness, including Queen’s „Tie Your Mother Down”, at the Hammersmith Apollo on their subsequent „comeback” tour.